Below are some commonly asked questions that may help you either before or after purchase. If you are experiencing any pain, please consult with your doctor, physician or chiropractor before using The Chiropractic Belt™. Please contact us if you have any other questions about our belt. Should I apply heat or ice when I have Sacroiliac joint pain? Do I have to wear it forever? How do I keep The Chiropractic Belt™ clean? Can I wear it during all my normal daily activity? Is it easy to put it on and to remove it? Should I wear it when I am sleeping? Does the belt help me when I am sitting for most of my day? Should I keep moving when I have injured my Sacroiliac joints? What should I not do to protect myself from re-injuring my Sacroiliac joints? What else should I do to protect my lower back? Heat should NOT be applied. The application of ice packs to the joint for up to 20 minutes every hour should be done to reduce inflammation and swelling. Once the pain subsides, the application of ice packs can be reduced to an "as needed" basis. 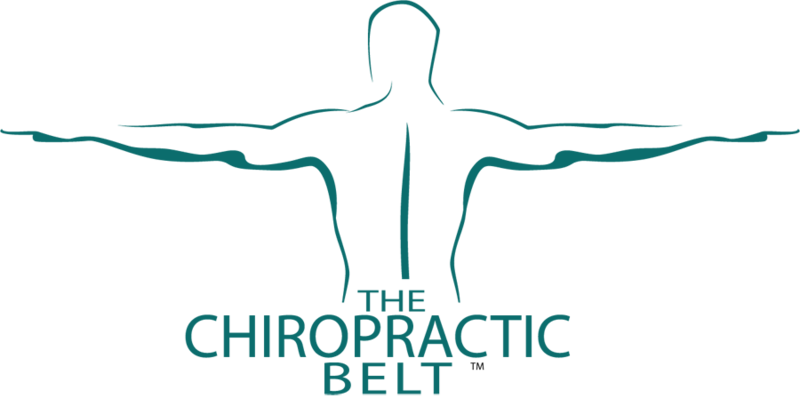 For best results The Chiropractic Belt™ should be worn for any time period between 3 to 12 weeks depending on whether your symptoms are acute or chronic. The Chiropractic Belt™ comes with very clear instructions with regard to wear and use. The Chiropractic Belt™ can be hand washed as often as needed in cold water and allowed to drip dry. Yes, The Chiropractic Belt™ is designed to be soft and comfortable enough to wear under or over your clothing and to be flexible enough to move with you during all normal activity during the day. Because of the unique design, The Chiropractic Belt™ is very easily secured in front and then adjusted with two side panels to fit comfortably. It can be put on and removed in just a few seconds. The Chiropractic Belt™ is uniquely designed to stabilize the pelvis during any activity, including rest and sleep. Yes. When sitting the pelvis plays a vital roll in aligning the spine, skull, shoulders, arms, legs and feet. The pelvis also provides support to the internal organs even while seated. The Chiropractic Belt™ is made with an inner layer of soft cotton and an outer layer of soft, pliable Velcro and elastic. One could carry the belt with one finger as it weighs approximately 5 oz. The Chiropractic Belt™ is manufactured in the United States. If possible, keep moving. Becoming bed ridden will cause the ligaments to slacken from disuse and delay healing. Certain exercises contribute to displacing the Sacroiliac joints. These include sit-ups and bending over from the waist while keeping the knees straight. Becoming aware of the way you perform these activities and correcting them, you will minimize your chances of re-injury. It is advisable to exercise regularly to keep muscles strong. Walking briskly up to 2 – 3 miles a day is the best exercise. Walking strengthens the Sacroiliac ligaments. In addition to walking, speak to your health care practitioner about which corrective exercises can be done to strengthen the abdominal and pelvic supporting muscles. Strong abdominal and pelvic muscles help to stabilize the Sacroiliac joint(s) and are beneficial in avoiding re-injury of the joint(s). The spine consists of a series of curves. The curves are what increase the load carrying capability of the spine. As long as the lumbar or lower portion of the spine maintains its forward curve, good posture is much easier to achieve. Therefore, particularly when sitting for long periods of time, slumping should be avoided with the use of good seat/chair support. If it is difficult to find a seat or chair that provides good lumbar support when you have to sit for long periods of time, it is a good idea to use a back rest or a pillow designed to provide the support needed.